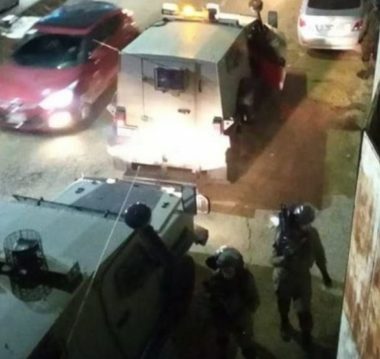 Israeli soldiers invaded, on Saturday evening, the village of Hares, west of Salfit in central West Bank, and violently searched many homes and stores. Taiseer Soof, the head of Hares Village Council, said several Israeli army jeeps invaded the village, before the soldiers stormed and ransacked homes and shops in the western area. He added that the soldiers also confiscated surveillance recordings and equipment from the invaded homes and shops. In related news, the soldiers closed the entrances of Azzoun town, east of the northern West Bank city of Qalqilia. Eyewitnesses said the soldiers placed concrete blocks closing the northern entrance of the town, in addition to installing an iron gate, closing the southern road, which leads two Ezbet at-Tabib village.